Marc Fitzpatrick and Ross Tokely have been released by the Staggies on deadline day. Ross County have completed the signing of Swiss defender Branislav Micic from FC Sion. The 22-year-old joins as the club allow Marc Fitzpatrick and Ross Tokely to leave on free transfers before the close of the transfer window. Micic has been with Sion since 2010, having joined from FC Le Mont. He started his career in Belgium with Union Royale Namur. 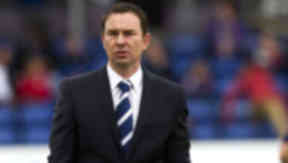 He joins until the end of the season, with Derek Adams having the option to retain him for another campaign if he impresses. Fitzpatrick joined from Motherwell in 2011, making 56 appearances for the Staggies. He played 23 times this season in all competitions. Tokely, 33, only moved to the club from Inverness CT in the summer. He made 19 appearances this campaign.